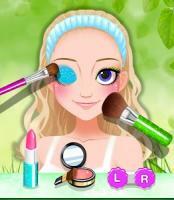 Ice Queen’s Beauty SPA Salon is a Educational game developed by Hugs N Hearts. The latest version of Ice Queen’s Beauty SPA Salon is 1.0.7.0. It was released on . You can download Ice Queen’s Beauty SPA Salon 1.0.7.0 directly on Our site. Over 60298 users rating a average 3.6 of 5 about Ice Queen’s Beauty SPA Salon. More than 10000000 is playing Ice Queen’s Beauty SPA Salon right now. Coming to join them and download Ice Queen’s Beauty SPA Salon directly! The princess is lonely up in her cold ice castle. No girl friends, no one to talk to, just big piles of snow that stretch out across the kingdom. What can you do to help the princess feel better? Give her a makeover, of course! 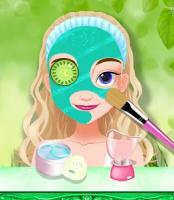 Frozen Queen: Beauty SPA Salon gives you all the tools you need to turn this ice princess into a beauty queen. Give her a new dress, shoes, makeup and hairstyle, then watch her smile as she runs out across the ice and snow in the kingdom! The princess needs your help to look beautiful again. Start by washing her hair and rinsing it clean, then pick out some nice ice and snow themed hairstyles for her to wear. Apply makeup to her pretty face, just the right amount so all the girls in the kingdom will be jealous! Pick out the best dress and shoes to complete her outfit. – Help the lonely princess find friends with a complete makeover! – Choose a new dress, shoes, jewelry and accessories. – Give her ice and snow themed makeup and hairstyles. – Make sure she’s the most beautiful girl in the kingdom. – Get all the girls jealous about her shiny new shoes! – Wash, rinse and dry the princess’ hair and choose a style. – Dress her in new clothes, including skirts, gowns and jewelry. – Design a new makeup look to complete the makeover. To Download Ice Queen’s Beauty SPA Salon For PC,users need to install an Android Emulator like Xeplayer.With Xeplayer,you can Download Ice Queen’s Beauty SPA Salon for PC version on your Windows 7,8,10 and Laptop. 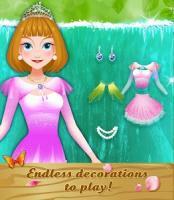 4.Install Ice Queen’s Beauty SPA Salon for PC.Now you can play Ice Queen’s Beauty SPA Salon on PC.Have fun!